Health Benefits of Turmeric | Grow This! The health benefits of turmeric are a good reason to grow it in your garden if you’re in one of the warmer hardiness zones. For people in cooler climates, turmeric can be grown in containers and brought inside over winter when it gets cold outside. 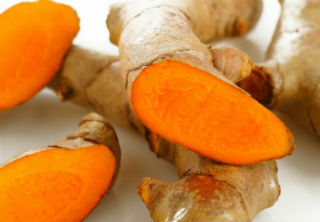 The turmeric root is used in cooking, most notably in Indian cuisine where it is used to make curry and other dishes. The beautiful purple flowers of the turmeric plant are also edible. Curcumin is the active ingredient in turmeric. It is what gives turmeric its yellow/orange color. Research has found (and is continuing to find in study after study) that curcumin has important healing properties for many areas of the body. In regions where turmeric is consumed on a regular basis, such as India, incidences of certain diseases like prostate cancer and Alzheimer’s are lower than in the United States. Turmeric is one of the most important herbs in Ayurvedic medicine where it is considered to be effective against a wide variety of diseases and ailments. A multitude of studies have found many of the purported health benefits of turmeric to be genuine. Curcumin is a very promising natural prevention for Alzheimer’s disease. It is able to cross the blood-brain barrier and carry its beneficial properties to the brain. One study found that it has an astounding ability to reduce beta-amyloid plaque buildup in the brain. Beta-amyloid plaques are associated with the development of Alzheimer’s disease. In one study, mice that were given curcumin in low doses saw a reduction of plaques by about 40% compared to non-treated mice. Curcumin is not only good for preventing cancer, but it may also be able to stop cancer cells from growing and metastasizing. The types of cancer that studies have found to be prevented or helped by turmeric include colon cancer, breast cancer, prostate cancer, non-Hodgkin’s lymphoma, childhood leukemia, melanoma, and lung cancer. According to research, there are several ways in which curcumin fights cancer. It helps the liver to function better, which in turn helps the body to rid itself of toxins and boosts overall immune function in the body. It also has antioxidant properties. Antioxidants help the body to fight off free radicals that can lead to DNA mutation and cancer. Once cancer cells have formed, curcumin is able to induce them to commit apoptosis (suicide) before they grow or spread to other areas of the body. One study found that turmeric eaten with cauliflower, broccoli, or other cruciferous vegetables has potent effects in the prevention of prostate cancer and in slowing the growth of existing prostate cancer. The incidence of prostate cancer is much lower in India, where turmeric and cruciferous vegetables are eaten in abundance. Studies have found that curcumin has anti-inflammatory properties on par or surpassing standard over-the-counter and prescription anti-inflammatory drugs but without the side effects. One of the ways that curcumin works as an anti-inflammatory is by inhibiting certain molecules that cause inflammation in the body. Chronic inflammation is important to keep in check because it is associated with many different diseases, including autoimmune disease, cancer, and heart disease. Another of the amazing health benefits of turmeric is in the fight against multiple sclerosis. There are extremely low rates of MS in India where turmeric is consumed regularly. 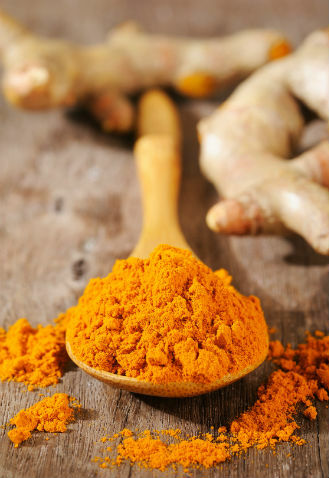 A mouse study in 2002 found that curcumin halted the symptoms of an MS-like disease called EAE (experimental autoimmune encephalomyelitis) while those mice who didn’t receive the curcumin continued to experience worsening symptoms. Studies in animals have found that turmeric can help in the reduction of bad (LDL) cholesterol, prevent blood clots, and prevent atherosclerosis, which is the buildup of plaque on artery walls. All of these things can contribute to the development of heart disease. Also, the anti-inflammatory benefits of turmeric may help to reduce the risk of heart disease that is caused by chronic inflammation. Curcumin eats up the free radicals that are responsible for the inflammation that causes joint pain and damage in osteoarthritis and rheumatoid arthritis patients. Turmeric is a natural COX-2 inhibitor. People with RA have reported improved levels of pain, swelling, and stiffness when supplementing with turmeric. One human study found that curcumin worked better than diclofenac sodium in reducing swelling and tenderness in rheumatoid arthritis patients. One study in rats found that turmeric improves the liver’s ability to detoxify the body by boosting levels of important liver enzymes. Another study involved injected rats with a toxin that induces hepatitis. One group was given 1% turmeric extract for 15 days and the control received nothing. The rats who had been given turmeric had normal liver readings at the end of the 15 days while the control group did not. The study concluded that turmeric extract helped the rats’ livers detoxify the toxins that had been injected. A study done in India found that curcumin is as effective in treating major depressive disorder (MDD) as Prozac but without the serious side effects that Prozac and other anti-depressants may cause. Turmeric is a potent antibacterial and antimicrobial that has proven effective against MRSA (Staphylococcus aureus). Staph infections are becoming increasingly antibiotic-resistant, which poses a huge and dangerous problem since staph infections are so common and potentially deadly if left untreated. One study found that curcumin extract restored the antibacterial activity of antibiotics in the treatment of staph and also had antibacterial properties of its own. There’s just no denying it, the health benefits of turmeric are amazing! One thing to note is that turmeric is much more bioavailable when mixed with a lipid or oil. Your body absorbs more of the good stuff that way. Eating it with black pepper (piperine) also boosts its bioavailability. If you’re planning to buy turmeric supplements, look for liposomal formulas or those in a liquid form rather than dry, powdered turmeric capsules. If you want to grow your own make sure you check out our How to Grow Turmeric article! Safety and anti-inflammatory activity of curcumin: a component of tumeric (Curcuma longa). Antibacterial activity of Curcuma longa L. against methicillin-resistant Staphylococcus aureus. Hepatobiliary clearance of labelled mebrofenin in normal and D-galactosamine HCl-induced hepatitis rats and the protective effect of turmeric extract. Efficacy and Safety of Curcumin in Major Depressive Disorder: A Randomized Controlled Trial.